(BOSTON) — Wyss Institute Founding Director and Core Faculty member Donald E. Ingber, M.D., Ph.D. has been elected to Fellow of the American Academy of Arts and Sciences, one of the nation’s oldest and most prestigious honor societies and a leading center for independent policy research. Along with 175 other new fellows and 37 Foreign Honorary Members, he joins a group of some of the world’s most accomplished scholars, scientists, engineers, writers, and artists, as well as civic, business, and philanthropic leaders. The Academy convenes its leaders from the academic, business, and government sectors to provide policy advice relating to challenges facing the nation and the world. “It is a profound honor and privilege to be elected as member of this esteemed Academy that spans the arts and sciences, as crossing these diverse fields has been a passion of my own for my entire career. I look forward to collaborating with the other Academy members to help confront pressing issues facing our world, and to develop proposals for potential solutions,” said Ingber, who is also the Judah Folkman Professor of Vascular Biology at Harvard Medical School and the Vascular Biology Program at Boston Children’s Hospital, and Professor of Bioengineering at the Harvard John A. Paulson School of Engineering and Applied Sciences. Ingber is a pioneer in the field of biologically inspired engineering and has made lasting contributions to a broad range of scientific disciplines ranging from mechanobiology and nanobiotechnology to tumor angiogenesis, tissue engineering and translational medicine. In addition to directing the Wyss Institute, he leads its Biomimetic Microsystems Platform that develops human ‘Organs-on-Chips’ and microengineering-enabled therapeutics and drug delivery systems. He is also a senior member of the Vascular Biology Program at Boston Children’s Hospital, where his team focuses on angiogenesis and cancer research. Ingber, whose earliest scientific work led to the discovery that tensegrity architecture is a fundamental design principle that controls how biological systems are structured, helped to found the Wyss Institute for Biologically Inspired Engineering in 2009 with the mission to draw inspiration from the way Nature builds to develop innovative bioinspired technologies that improve human health and the environment. Core to the Wyss Institute’s culture is the goal of translating these technologies out of the laboratory and into the real world, which is accomplished through the Wyss’ unique environment that fosters deep, cross-institutional collaboration between scientists, entrepreneurs and industrial partners. Ingber himself has authored more than 400 publications, is an inventor on more than 130 patents, and has launched four biotechnology startups. 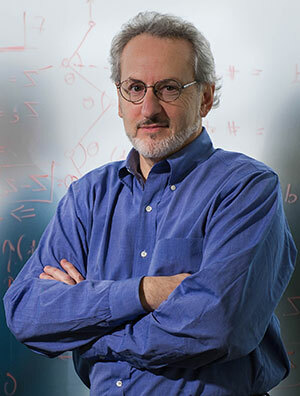 In recent years, some of Ingber’s most notable work includes the invention of “human organs on chips” microfluidic devices, which have the potential to deliver transformative change to pharmaceutical development and human healthcare by replacing animal testing, and a dialysis-like blood cleansing device for sepsis therapy. Boston-based startup company Emulate, Inc., spun out of the Wyss Institute in 2014 to commercialize the human organs on chips, and Cambridge-based Opsonix, Inc., was founded in 2015 to commercialize the sepsis therapeutic technology. Founded in 1780, the Academy has elected leading thinkers and doers from each generation, including Thomas Jefferson and Benjamin Franklin in the eighteenth century, Daniel Webster and Ralph Waldo Emerson in the nineteenth, and Margaret Meade and Jonas Salk in the twentieth. Ingber and the other new members of the Academy were nominated and elected by current members, bringing the academy’s ranks to more than 4,600 fellows and 600 Foreign Honorary Members, including more than 250 Nobel laureates and Pulitzer Prize winners. The new class will be inducted at a ceremony on October 8, 2016, at the Academy’s headquarters in Cambridge, Massachusetts.